The 2019 Johnson County Home and Garden Show, sponsored by the Tecumseh Chamber of Commerce, will be held at the Tecumseh Community Building located on the south side of the square in downtown Tecumseh. The two day event begins on Friday, April 5, 2019 from 1:00 p.m. to 7:00 p.m. and continues on Saturday, April 6, 2019 from 9:00 a.m. to 1:00 p.m. Prize drawings will be held on both Friday evening and Saturday afternoon. THE GRAND PRIZE drawing will be on Saturday. Call Shalen Lundeen at 402-335-6401 or email her at slundeen@jchosp.com for more information. In order to spotlight our local businesses, booth reservations will be taken first by Johnson County Chamber members. These member registrations are due MARCH 1, 2019. Starting March 2, 2019, any remaining booths will be filled with non-member registrations. Advertising will most likely include Penny Press Insert, KUTT Live Remote and commercials, B103 commercials, Tecumseh, Humboldt, Syracuse, Auburn, Pawnee City Tecumseh Chieftain insert and Canvas signs at entrances into town. Must be a paid registrant by March 15, 2019 to be included in all advertising. There will be a minimum of 50 Vendors. 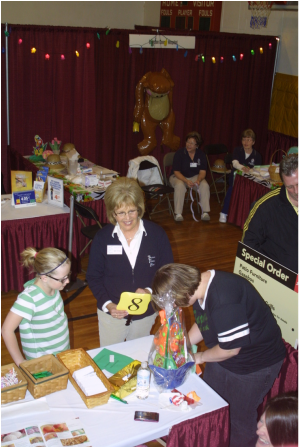 The 2019 Johnson County Home and Garden Show Committee will give away prizes on Friday evening and Saturday afternoon. - Prizes include Lawn mowers, TVs, Gas Grills and more! Booths for the event are 8 feet by 8 feet. Booths are draped and come with a 6 foot covered table and 2 chairs. If two booths are needed, they will be located side by side. All booth reservations are non-refundable unless notified prior to March 15, 2019. The Chamber of Commerce and its members are not responsible for accidents. By registering, vendors agree to be responsible for any damage resulting from their display.